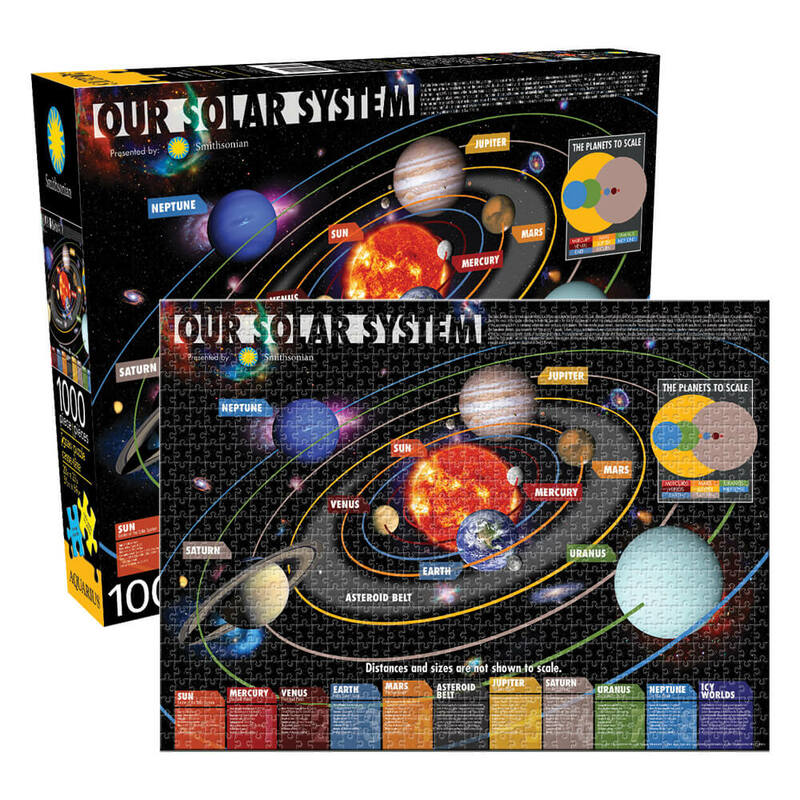 Smithsonian Solar System 1000pc Jigsaw Puzzle | It's puzzling that's simply out of this world! It's puzzling that's simply out of this world! As your space fan puts the pieces together! From the fiery sun to some of the smallest known planets in the galaxy, it's time to learn about our solar system! This Smithsonian Solar System 1000pc Jigsaw Puzzle is the perfect gift for any avid puzzler who enjoys a bit of a brain boost. Featuring a vibrant and colourful diagram of all our planets and more, it's education wrapped up in a whole lot of fun! The bottom of your puzzle includes a brief description of each planet and the black starry background makes your puzzle quite a challenge. So explore outer space with this amazing 1000 piece puzzle! Dimensions once assembled: 51cm x 69cm.